Your sign-off could range from “Cheers” to “Best” to “Sincerely” depending on the email and the person. You probably wouldn’t include emojis. Joking with a co-worker on a chat app like Slack, however, would sound much different because the context is different. In that situation, you might even opt only to use emojis, and no one would bat an eye. 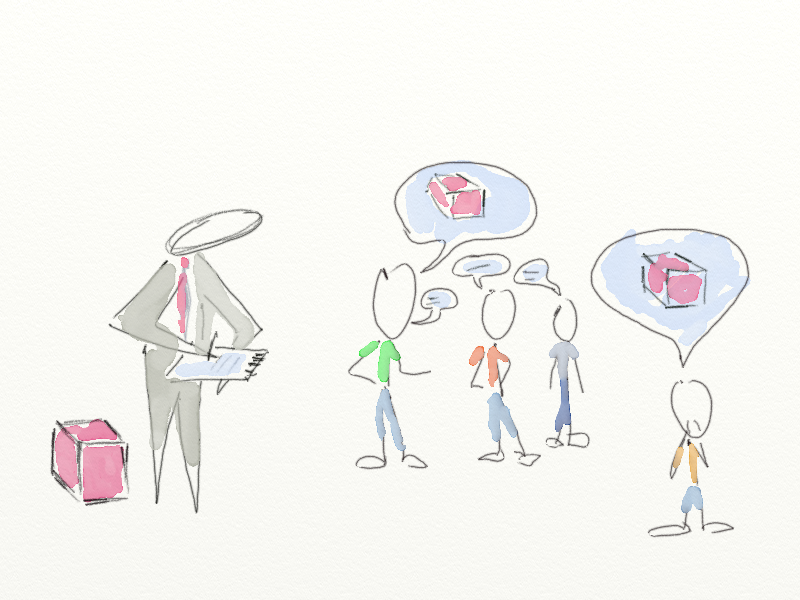 Agile retrospective meetings are an ideal balance of both formal and informal communication. They have structure, but only just enough to allow for the free flow of information. They perfectly blend the formal and the informal to create an environment where teams can arrive at decisions quickly and act swiftly. Informal communication typically happens outside the organizational structure. It’s quicker, more interactive and more spontaneous. Examples include gossip (called “grapevine communication”), jokes, casual complaints, the daily to-do lists you put together for yourself or telling your coworkers what you did last weekend. When researchers first started studying communication in organizations, Fay says, they focused exclusively on formal communication because they believed that was the only communication worth studying. Over time researchers realized how valuable informal communication is for organizations. Informal interpersonal communication provides an outlet for people to talk about their ideas or their fears, and it creates a sense of belonging. Formal communication is used for routine coordination and informal communication is more beneficial for uncertainty and unanticipated problems, according to Kraut and Streeter. Agile retrospectives need a good balance of both to be effective. More formal structures and tactics make way for the informal communication needed for quick and effective discussions. Retrospectives are more formal than a spontaneous hallway conversation but less formal than a board meeting or a formal review. There’s a set group of people participating, and their roles (facilitator or participant) are pre-defined. Expectations like the prime directive and the length of the meeting are usually communicated beforehand, and the meetings are planned in advance. Team members might be asked to brainstorm topics for discussion before the meeting, but other than that, preparation is minimal. Retrospective techniques give you a basic framework for your team to think about and talk about relevant issues. Formal communications are usually heavily documented, which doesn’t align with Agile development, where teams would much rather spend time acting on ideas rather than documenting them. In retrospectives, a facilitator might take notes, but they’re not formal meeting minutes. 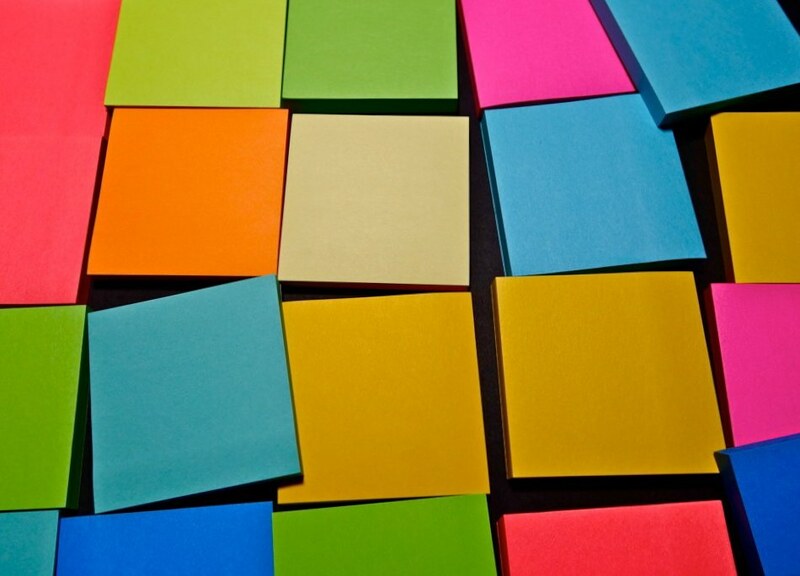 Sticky notes allow teams to bring up issues without creating pressure to put forth perfect, complete sentences or lengthy explanations, which would be much too cumbersome. Voting allows teams to prioritize items for discussion, but the voting is informal. This is a great example of structure allowing for the free flow of information. There are no parliamentary procedures in retrospective voting, where teams typically opt for a dot voting system. Instead, the point is for the group to quickly identify priorities and easily build consensus so they can move into discussion and start solving problems. Often, teams don’t know in advance all the problems they’re trying to solve because retrospectives are where many issues come to light. Once your team identifies issues, informal conversation, brainstorming and negotiation allow everyone to understand those problems and decide on solutions. Formal communication is usually one-way, it doesn’t include slang, it uses complete sentences, and it mostly relies on technical or academic jargon. In contrast, communication in retrospectives is a more casual group effort. Discussions are rich and interactive. The focus is on getting to positive change without having to worry about formalities along the way. It’s worth mentioning that good facilitators will be experts at keeping the balance between formal and informal. They’ll do a great job setting the stage, making sure every team member is giving input, and they'll keeping the retro moving along at a good pace, but they’ll do it without taking the spotlight. A facilitator isn’t a chairperson or a board president. Instead of calling all the shots, they’re there to support the team and help them move toward action. A good facilitator will know exactly when to jump in and steer the ship and when to sit back to let the team talk things out. Informal interpersonal communication can be tougher for distributed teams. Without constant face-to-face interaction, teams tend to want to be more formal. Kraut et al. found that when teams lack informal communication, it can hurt collaboration and slow down progress. Researcher Carsten Röcker found that having the right communication and information infrastructure to allow for more informal communication can make distributed teams more effective. Retrium maintains the nature of in-person retrospectives, so teams don’t lose the feeling of informality even when they’re not in the same room. One way Retrium accomplishes this is by offering the option of anonymity. When teams are in a room together proposing items for discussion, it’s much easier to see who is proposing what. Team members might avoid bringing up important issues because they don’t want to be singled out. Retrium allows team members to brainstorm privately, which can help teams avoid groupthink and increase participation. Brookins says the anonymity has been especially valuable for the engineering team at Help Scout. Retrium’s notes closely mirror sticky notes, encouraging efficient communication rather than more formal, edited paragraphs, which could slow down the process. The option for video allows teams to maintain an open flow of information. Creating the opportunity for face-to-face interaction helps increase the quality of communication to allow for more casual, constructive conversations. Without both formal and informal communication, teams would have a difficult time with continuous improvement. Remember, teams are made up of humans who need to connect with one another and build trust in order to collaborate. But teams also need some guidance to prioritize issues, work through problems and turn decisions into action. The trick is for teams to straddle the line between rigid procedures and complete pandemonium. Through Agile retrospectives, teams can achieve that ideal balance. Struggling with your retrospectives? Try Retrium!